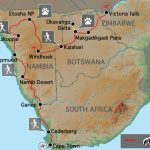 Looking for a quality small group safari vacation in Southern Africa at an affordable price, with knowledgeable guides and like minded travellers? Our local operator has been creating memories for adventurous Africa travellers for more than 20 years. We specialize in value for money, small group camping safaris and hotel accommodated tours that include wildlife safaris, walking and trekking holidays, cultural tours, safari holidays and overland journeys. ***CLASSIC JOURNEYS: 3-4 Star accommodation, No-participation with helping out with chores, meals in lodges/restaurants with some picnics provided by guides. Classic itineraries below are indicated by *** stars. **ACCOMMODATED ADVENTURES: 2-3 Star accommodation, Limited participation with helping out with chores, Guides prepare the meals. Find itineraries below indicated by ** stars. *UNDER CANVAS CAMPING: Camping, Limited participation with helping out with chores, Guides prepare the meals. Find itineraries below indicated by * star. 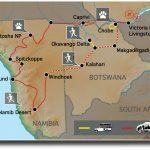 A journey through the lush green Okavango Delta and the beautiful desolation of the Namib desert is an exploration of a lifetime across Southern Africa. 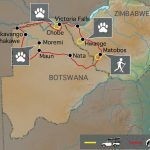 Exciting wildlife in Etosha NP, walking the red sand dunes of Sossusvlei and adventure through the Okavango Delta by mokoro. This tour is also available for Livingstone to Windhoek only. Small groups – by travelling with a maximum of 8 or 12 people (depending tour), you are able to witness Africa and have first-hand contact with this amazing continent and its people without being a negative influence. This has been a key factor in our continued success. Our trips appeal to a wide demographic of traveller. Our clients range in age from 25 to 65+ with the average being 45. The range of travellers gives a variety of perspectives which adds to the experience of each safari. 2 tour guides – group leaders are the key to any safari. 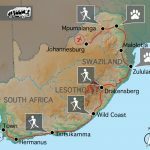 On our safari you will travel with 2 qualified and registered field guides (Field Guides Association of SA). Two guides as crew, not a guide and a driver, means interesting trips with maximum knowledge and information. Our guides have a passion for Africa, her people and her wildlife, and they love nothing more than sharing their knowledge with you. All inclusive price – when we travel ourselves, we always feel that if we’re in a country we should find and see the best it has to offer. So when planning the routes we ensure that each trip provides the best inclusions and experiences. 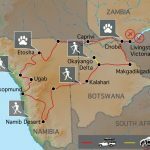 For example, if you go to Botswana – you have to visit the national parks in an open 4WD – it is the essence of the Botswana wilderness. If you tour Zambia, then you must visit South Luangwa NP and do a game walk with a local scout. When booking our Safari there are no hidden costs. All of the entrance fees are included, and a wide range of activities, and most meals. We have included many highlights in our tours, so that you will see and experience the highlights without having to pay extra when you get there. So when you decide on which safari company to book with, look carefully at what you’re actually getting. You may only visit a place once, make sure you get the most out of it. Safety – our fleet of vehicles are custom built to ensure comfortable and safe touring. Each is constructed, by an authorized passenger vehicle builder, to the latest safety requirements, with a safety shell, and every seat has a lap belt. This gives you peace of mind when travelling with our Safaris on the often demanding African roads. Responsible travel – Our commitment to sustainable & responsible tourism is reflected in our low impact travel style where all we take is photographs and all we leave is our footprints. Being an African company we have the grassroots contacts to make a real difference in the lives of the people whose lands we visit. 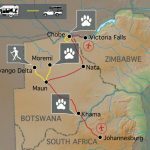 Experience – Local operator has more than 22 years’ experience planning tours throughout Southern Africa. As such, our itineraries and routes have been perfected over many years ensuring that your tour will run smoothly. We visit the highlights of Southern Africa, but ensure that you do not follow the well-trodden tourist track. All of us have extensive travel experience in Africa, and throughout the world. Being adventure travellers ourselves, we know how to plan trips that give you a broad experience of the countries that you will visit. 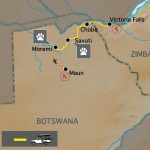 Local Operator in Africa – probably the most important part of our value safaris is that our operator is an African company with offices in South Africa and Botswana. They live in Africa, and travel in Africa and it is their passion for this amazing continent that makes them best travel option. For hundreds of years, the local communities in and around Botswana’s Okavango Delta have used the wood of the sausage tree to craft their traditional mokoro (dugout canoes). The knowledge and skill have been passed down from generation to generation and, up until recently, has been a sustainable practice. With increasing numbers of people visiting the Delta each year, more mokoro are needed and as a direct result, more and more sausage trees are being felled and the sausage tree is sadly disappearing from the region. A traditional wooden mokoro will have to be replaced every five years, thereby placing increased pressure on the dwindling sausage tree supply. We have established a project to encourage polers in the local communities to buy replica fiberglass mokoro’s, which have a lifespan of approximately ten years, are more stable and are produced without any negative affect to the environment. As such, sponsorship for each fiberglass mokoro is needed, and a portion of the tour cost will be donated to the project, but we also will offer our clients the opportunity to contribute to this worthwhile cause. Please feel free to contact the our office for more information on the SOS trees project or if you would like to make any contributions towards this project. It is something that is close to all of our hearts and we hope that it will be successful. A local payment is required on some safaris and this will be collected by your tour leader on departure. The local payment forms part of your overall tour cost, and must be taken into consideration when booking your safari. It will be used by your tour leaders to pay for some of the operational costs incurred on safari. For these reasons, it is necessary for us to charge a local payment. It also ensures that a portion of the tour costs goes directly into the country you are visiting, thereby benefiting local communities and contributing to the conservation of the areas we visit. This is all part of our ongoing effort to operate sustainable safaris that make a real difference.